I will be started another 5-6 week cycle of Push Pull Legs. I decided to get back into the flow of things by doing a full body workout today. Sumo Deadlift: This is not a wide stance type of deadlift. Its slightly wider than shoulder width. I am working on a different form to see how my body reacts. This was actually some what difficult. It was very new for me. I will stay around 135-185 until I feel comfortable with the form. Done as a circuit of 8 sets of 8. only 15 seconds rest in between. Was not so bad. Maybe I will feel it tomorrow. 1.5 mile run in about 12 minutes. I hit the emergency stop by mistake. I was so pissed. I would have easily done 1.5mi in 11.5 minutes. I just ended week 4. So a few things I have realized. I will be changing my deadlift form. I feel like while trying to lose weigh, learning a new exercise is great. You will make gains, since it is a new exercise and do not have to worry about losing strength on an exercise you have done before. If that makes sense. My squat is getting better and better every week. Squatting twice a week has definitely worked. Sumo Deadlift: This will not be real wide stance Sumo deadlift. It will be a moderate stance. Run 1.5 miles in 11.5 minutes. This is a stretch but I am going to go for gold this week. If I don’t get it, no problem. In regards to nutrition I will continue to take in an extra 24 grams on protein per day. I give this workout a rating of a C. I just wasn’t feeling it. I was distracted by people in the gym making conversation. Tomorrow should be better. I hate when I dont have a good workout. BUT I finished. The good thing was I definitely feel like I got in a good back workout. I was really gassed after the deadlifts so my pull ups were kind of ugly. But I get the 40 reps I wanted. I think I need better workout gear to go to the gym. I look like a herb. I kind of messed around towards the end. But I realize that MAYBE I will make this day an UPPER day to work on weakness for the upper body. I will work on More Curls, Rows, and incline presses. Next week I will change the order to Dips, Chin Ups, Incline Press, Shrugs, Incline Curls. Or something like that. I have found, throughout my time training, that certain exercises tend to be more useful when done with a certain rep range. And that certain muscles react better to certain rep ranges. 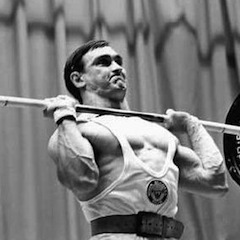 Big compound movements are better for performing for example heavy sets of 3. I have not found that be true for smaller movements like curls, lateral raises, wrist curl, etc. Example: I have never done a heavy set of 3 on a leg extension. I am going to list types of exercises and what I think the appropriate rep range should be based on my experience. Squat Variations: Sets of 1-8 reps. I find that doing more than 8 reps, form starts to break down, especially for the squat. Pressing Variation: 1-5 reps The press I find is best to be done in sets of 3. After that, sometimes I start to flare the elbows or hyper extend back. Conventional Deadlift: 1-6 reps IMO there is no reason to do sets of 10 or more for the DL. Form will deteriorate and people get more focused on getting the reps than maintaining proper technique. Curls: 8-15+ reps I have always found that doing sets of 12 or more have given me better results when it comes to the curl. Lateral Raises: 12+ reps Isolation movement, that does not need to be performed at max weight. This works best with higher volume and light weight. Leg Extensions:12+ reps Same as above. Leg Curls: 12+ reps Same as above. Calf Raises: 30+ reps We walk and run basically everyday, most people should be able to do 30 standing calf raises no problem. UNLESS you do little or no walking. Flys: 12+ Doing heavy flyes puts to much stress on the shoulder and if too heavy, you find this works out the biceps more than the chest. Wrist Curls: 20+ Same as the calf raises. We use our hands every day, so doing a set of 20 of wrist curls should not render your hand useless the next day. If you noticed, I did not mention any ab or body weight movements. I will posting about those some time in the future. Mind you this is what I feel has worked for me, so some of you may disagree. Today is the last day of my push pull legs week 1. I worked on mostly upper body calisthenics and some parts of my physique I felt needed some extra work. Forearms and biceps and traps. Nothing major. I did not do any lower body stuff since my legs were still sore and I squat on Sunday. My arms felt PUMPED. 168 lbs. I few more lbs and I will make the weight I wanted. 60 lbs: 3 sets of 35 seconds. Open close of hand: for the forearms. High Bar Squat: Depends on how I feel. I am still feeling a little sick. So if anything I will do technique work. The 3 movements I focus on right now are the High Bar Squat, Overhead Press, and the Conventional Deadlift. 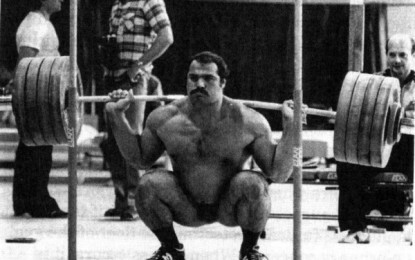 The high bar squat is new to me. Since 2011 I have been doing only the low bar squat. I decided to change simple because…. I wanted to. I started about 2 months ago. Started at 75 lbs. Now I am at 175 lbs. It feel a lot more comfortable than the low bar. My quads actually get sore now. 🙂 I will stay with this until the one day I want to go back to low bar. If I ever do. Now the conventional deadlift, is something that I will be refining from now until always because it is my favorite lift. I just love this lift. Maybe on other days when I want to get in reps, I’ll do Stiff Leg Deadlifts instead. 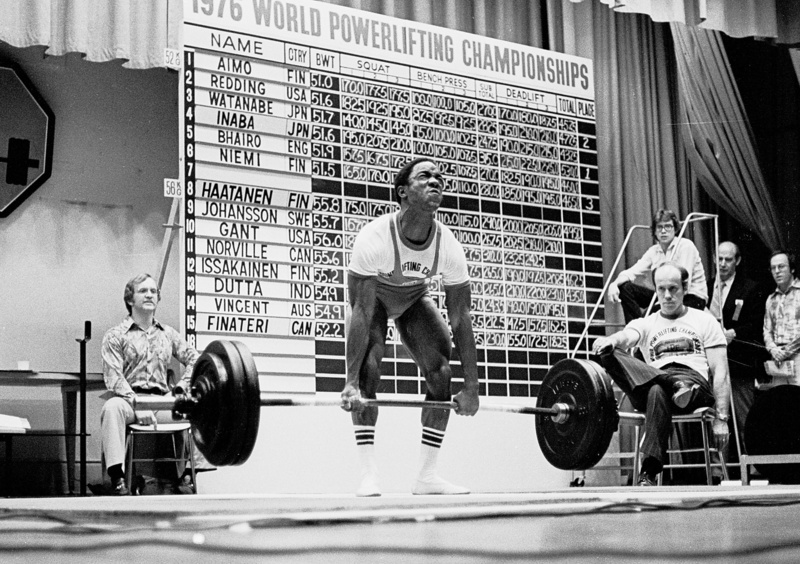 But for heavy DL days, its just conventional deadlift.